This article first appeared on the AnandTech Newsletter. Click here to subscribe. 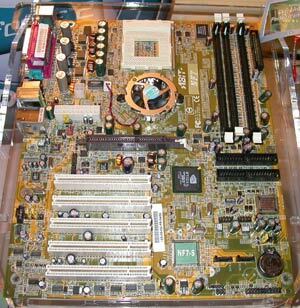 Today marks the first day of our motherboard coverage at Comdex 2002. Most of the motherboard makers we visited seem to be big on Granite Bay (E7205) and SiS 655, although we were overwhelmed with Hammer boards as well. 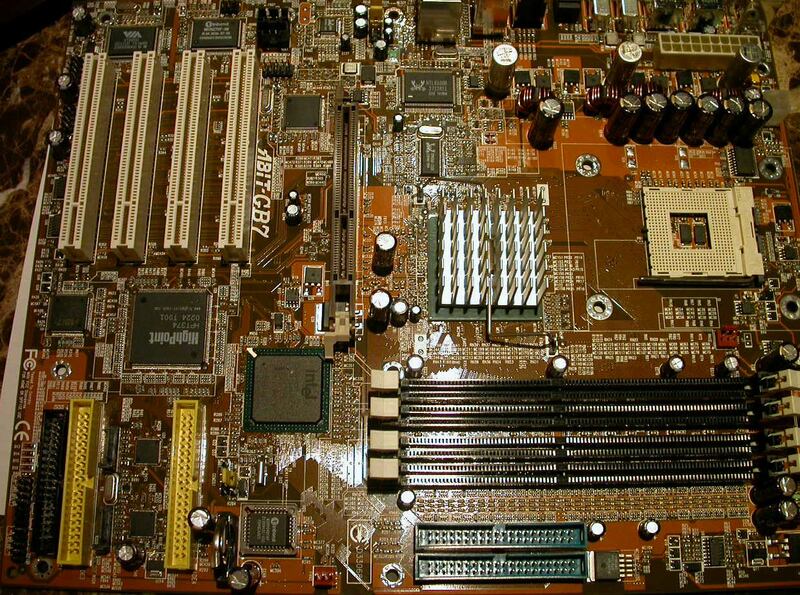 Read on to find out what boards motherboard makers are banking on for the foreseeable future. ABIT didn't have a ton of interesting motherboards to show off, though there were a few worth mentioning. 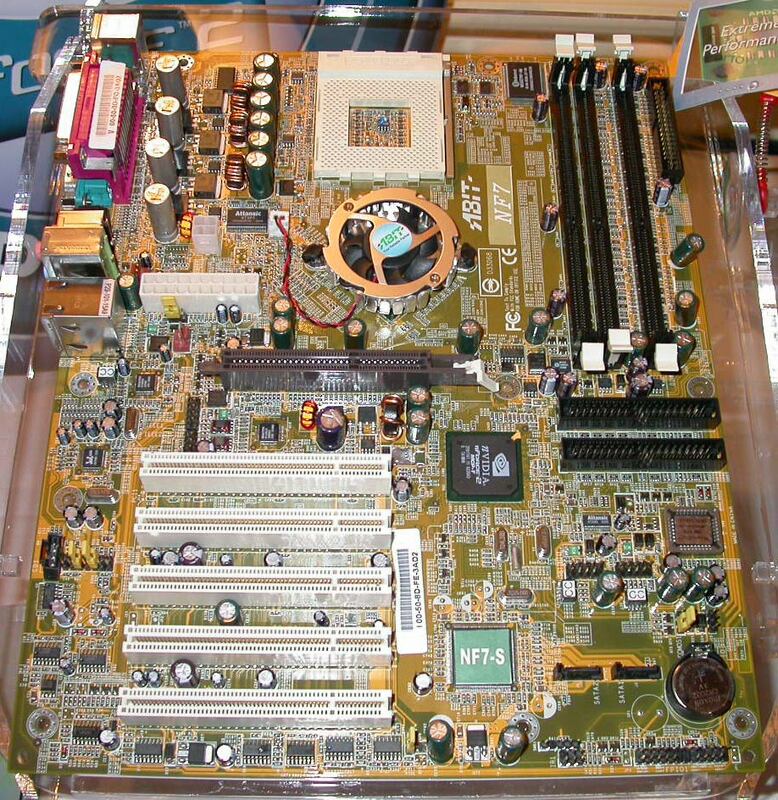 Pictured above is ABIT's Granite Bay motherboard, dubbed the GB7. ABIT is still very much pushing the MAX series, and we are quite happy to see this dedication to MAX. 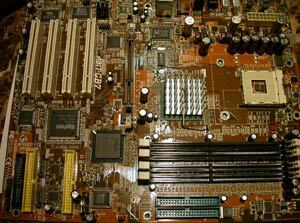 Expect reviews of ABIT's 845PE and Granite Bay motherboards in the next few weeks. Another board that we will be reviewing soon is ABIT's nForce2 board, the NF7, which utilizes the nForce2 SPP and MCP-T. It should be interesting testing out the capabilities of this board, which is supposed to be priced competitively against ASUS's nForce2 Deluxe motherboards. ABIT is still evaluating the SiS 655 chipset. They're not exactly sure if it's worth it to produce SiS 655, but considering the huge price difference between 655 and E7205, they may just adopt it. We had a chance to ask ABIT how they plan on remaining competitive in such a difficult period in the motherboard industry. Their response was that ABIT will attempt to differentiate themselves from the competition by focusing on the high-end desktop/enthusiast motherboards alone and branch off into server solutions as well. By refocusing ABIT as a niche manufacturer they hope to remain under the radar of a lot of the larger manufacturers and continue to remain an active player in this industry.